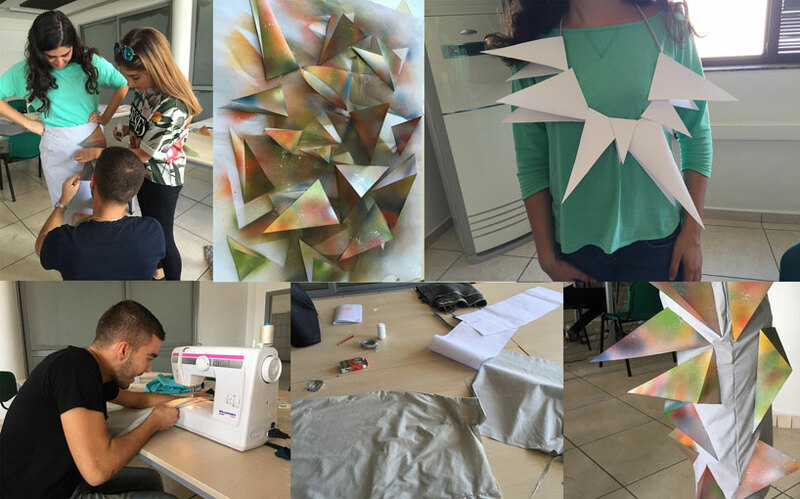 We were inspired by the Pyramid in the center of Tirana to design our garment. 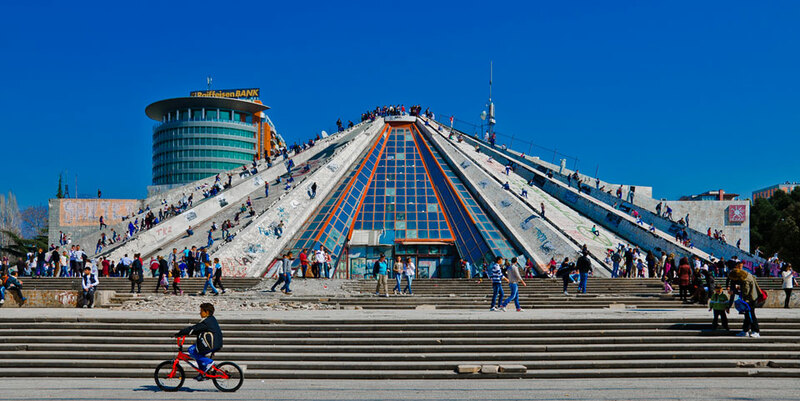 The pyramid: International Center of Culture (Albanian: Piramida) is a structure and former museum in Tirana, Albania, that opened on October 14, 1988. Formerly known as “Enver Hoxha Museum”. 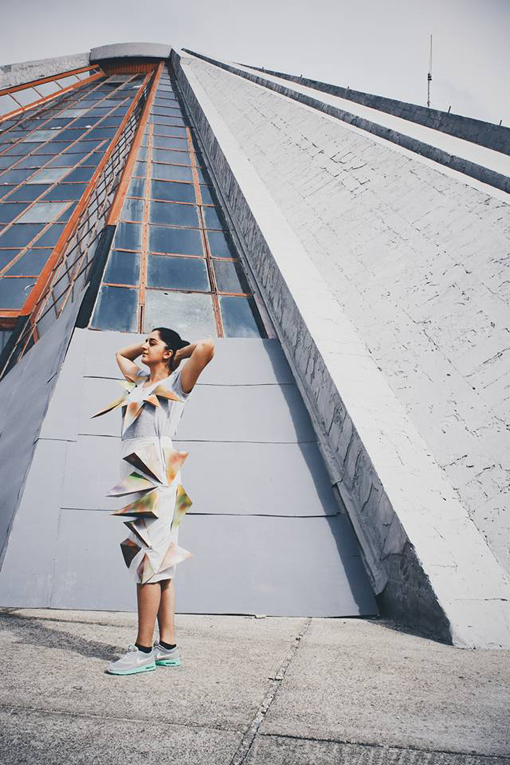 The triangles that are attached to the skirt are painted in graffiti, because the scars that you can find on top of the pyramid inspired us. The pencil skirt is designed to be grey to interpret the coldness of stone. The same method we followed to make the nickles.